For the first time today, I visited the Clarke County Courthouse as a juror of my peers. Even though being called for jury duty came at an inopportune time as I have a major deadline this week, it was something I was looking forward to experiencing. As it turned out, this criminal case was settled while the assembled potential jurors sat in a comfortable waiting room just outside the courtroom drinking coffee, reading and chatting about the local high school sports teams. The judge called us in for a short explanation, to thank us for our time and commitment to being responsible citizens of the county. In a way it was a relief to have escaped two days of time in a courtroom, but I was also disappointed to not have the opportunity to see our justice system at work in person and not glamorized on TV. 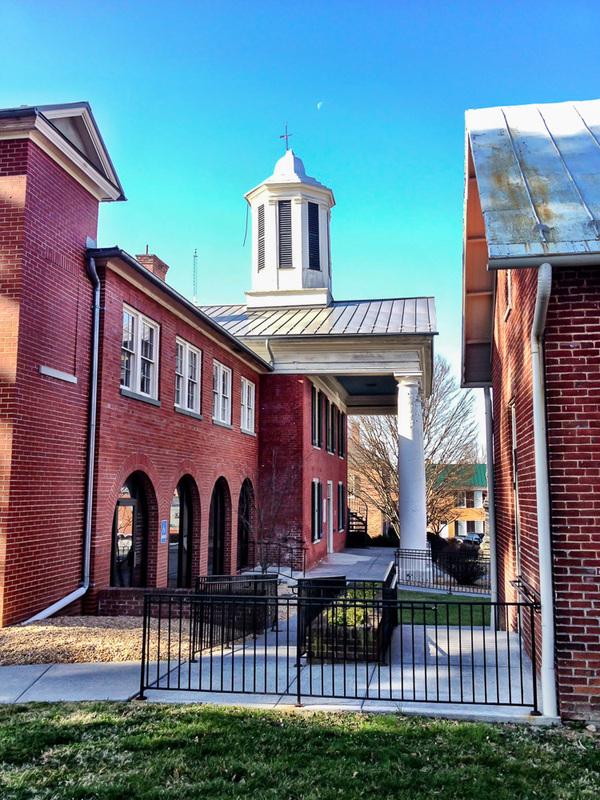 Ground was broken on the Clarke County Courthouse in 1836, the same year the county was formed in Virginia. Throughout the years the building has been remodeled and expanded, with the circuit courtrooms added in the 1970s. I should have guessed at this date since the original avocado kitchenette, polished and obviously functional, remains a focal point in the waiting area. A sign on the grounds notes that the last public hanging in Clarke County took place here in 1905. I’m certainly glad I wasn’t a juror back then!